Some Witches believe that there is both “black magic” and “white magic,” and that Wiccans only practice white magic, which is beneficial and positive, causing no harm to any living being. And there are even some who make a distinction between “black Witches” and “white Witches.” According to this concept, Wiccans fall into the white category, while those who choose to do harm with their magic are black Witches. But just what is “black” magic, really? Are these distinctions real, and if so, where do they come from? Centuries ago, Christian forces intent on dominating pagan cultures labeled any non-Christian religious or spiritual practices “black magic.” Those who had held respected roles in their communities as “soothsayers” or “sorcerers” before the Church began its crusade eventually came to be thought of in negative terms and were blamed for all kinds of misfortunes, such as crop failures and the death of farm animals. Women in particular were accused of summoning demons and unleashing evil forces on their neighbors, and it was believed that there were those who performed curses for hire. These people came to be known as “witches,” and they were thought to have great (though evil) powers, and no moral conscience. If people believed they were the victim of a curse, they would seek out a “white witch,” also known in some places as “cunning folk,” who would work a counter-spell to lift it. Any kind of bad luck, including illnesses and injuries, might be the result of someone else’s black magic and thus required white magic to reverse it. Superstitions were taken far more seriously in the centuries before the fields of science and medicine advanced enough to offer rational explanations for all kinds of things. Add to this the propaganda put forth by the Christian Church, and you end up with outlandish stories of witches turning people into toads and boiling children in cauldrons. So there’s a lot of history behind the term “black magic,” and the misconceptions persist to this day. Of course, those in the contemporary Pagan world are far more enlightened about the nature of magic, and it’s understood by most of society that the old myths about Witches are just that—myths. But the notion of black magic is alive and well, and is even embraced by plenty of Witches who are not necessarily using it for “evil” purposes. 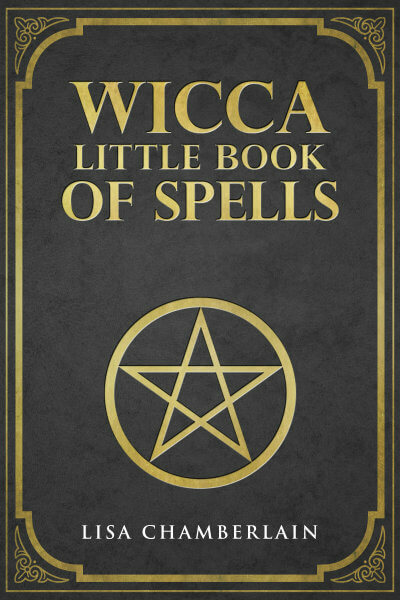 For example, although Wiccans would certainly put curses and hexes in the black magic category, non-Wiccan Witches argue that this type of spellwork can be necessary for self-defense against people who can cause them significant harm. They’re not necessarily working spells to burn down people’s houses, but they’re not going to hesitate to take action to protect themselves, either. 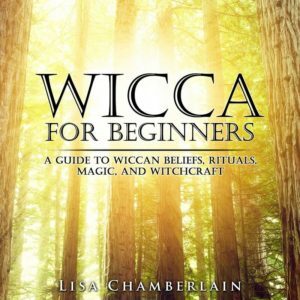 The Wiccan philosophy is different, in that spellwork used to protect oneself from harm would focus on the person casting the spell, and not the person who poses the threat. Protective spells can be performed successfully without sending any negative intention toward another person, so there’s no need for curses, hexes, or other forms of black magic. Many Wiccans take “do no harm” so much to heart that they end every spell with the words “for the good of all and harm to none,” or similar phrasing. After all, when we send out strong intentions, we affect physical reality, and this can have all kinds of unintended consequences for other people, whether we ever know it or not! Most garden-variety “black magic” spells are related to revenge and control. People who feel wronged may want to get back at the offender, whether it be an ex-lover, a boss, or even a family member by causing them some kind of misfortune. People who desire a specific partner may decide to try to steer the person’s thoughts, feelings, and even behavior in order to get what they believe is “love” from that person. While anger, resentment, and desire are feelings that all of us experience, Wiccans know that these are not acceptable motivations for magical work. Even love spells, if not thought out properly, can be manipulative and will ultimately wear off or even backfire. So if you’re ever wondering whether a magical working is ethically appropriate for a Wiccan, look at the role of free will—if the result of the spell overrides another’s free will, no matter how slightly, then it’s best left alone. While some Wiccans may consider themselves to be “white Witches” practicing “white magic,” others make no distinction between black and white in this regard. Your intention either fits with “harm to none,” or it doesn’t, but assigning a color to the magic itself seems illogical to many. After all, colors, including black and white, are frequently used as tools in magic, as we see in the practice of choosing candles and crystals according to their color’s magical associations. And black is a color associated with power and protection, among other attributes, which every Witch is surely entitled to. (And then there’s the popularity of black clothing among the Wiccan community!) Of course, if these terms make sense to you, then feel free to use them, but keep this bit of wisdom in mind: it’s not the “label” you put on the spell that makes it right or wrong, but the intention with which you cast it.